Yes, I am one of those people that starts planning for Christmas super early in the year. In fact, I start my planning in September! It may seem extreme to some, but I really love doing it this way. It seems to make everything a lot easier and it makes the actual Christmas season a whole lot less stressful. Here’s what has worked for us! Make a Plan – In the month of September, I start planning out what we want to purchase for each of our family members/extended family. There may be one or two people that have me stumped until November or so, but for the most part I will have a full list by the time October rolls around. Start Purchasing – Once I have my list of things to purchase completed, I start buying gifts. I try to purchase one gift at each pay period, so that we are not having to spend a bunch of money all at one time in December. This also allows me to order gifts online, without worrying about paying extra for expedited shipping costs a few weeks before Christmas. One of the BEST ways to cheapen up your Christmas shopping is to use Ebates. This is a service I’ve used for YEARS and it helps you get cashback on purchases you were already going to make. You look at the stores they have available and search by store or by product type. One way that I’ve found I can REALLY maximize my cashback (and get a lot of free stuff) is by using Ebates to shop at Khols. This means I’m getting both Khols cash and Ebates cashback and it is a HUGE game changer. Sign up for Ebates here for free (they never charge you) and you can even get $10 off your first purchase! 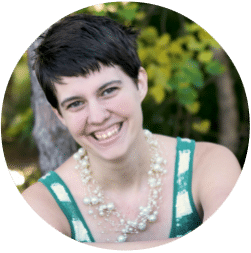 Prioritize – I try to keep an eye out for sales on items I want to purchase, and oftentimes I’m able to buy a lot of gifts on clearance a few months before Christmas! While I do like ordering a lot of the online shopping early, there are certain things I wait on, because I know they will be on sale closer to Christmas. For example, I always order custom wall calendars filled with pictures of the kids, for each set of grandparents. I save these gift purchases for November, because Minted usually does special Christmas deals during that month. Box It Up – I keep a special box in the back of our closet, and store all the christmas gifts there. I do not pre-wrap them, because I don’t want to forget what I’ve already purchased for everyone! I also love wrapping everything up in December, so I save that task for last. It gives us plenty of time to make our own footprint wrapping paper too! Stay Stress Free! 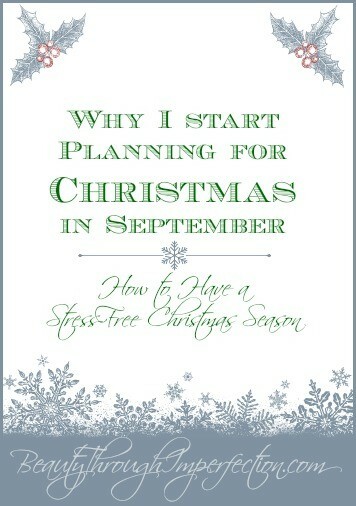 – I think the best part about starting to plan this early, is that it enables me to be less stressed in the holiday season. I don’t have to drag my toddlers out to the mall to pick up last minute gifts, and I don’t have to stress about having enough money for rent and presents in the month of December! I try to have most, if not all of my Christmas shopping done on December 1st, so that we can just focus on fun stuff in December, like doing the Jesse tree, baking Christmas cookies with my kids and looking at lights! Save for gift cards – Lastly, I work with swagbucks to earn gift cards. A few years ago I tried a lot of online ways to earn gift cards and fell of the wagon with all of them except swagbucks. They are by far the easiest I’ve found to use, and I’ve gotten several “free” Christmas gifts for people simply by racking up points, starting in September and using them on Target or Amazon gift cards! You start with 150 swagbucks if you sign up for free swagbucks! This is my third year using them and they are still just as easy as they were on day one! The next thing that can really help you save, is getting paid for all of the clothes your kids grew out of this Summer. 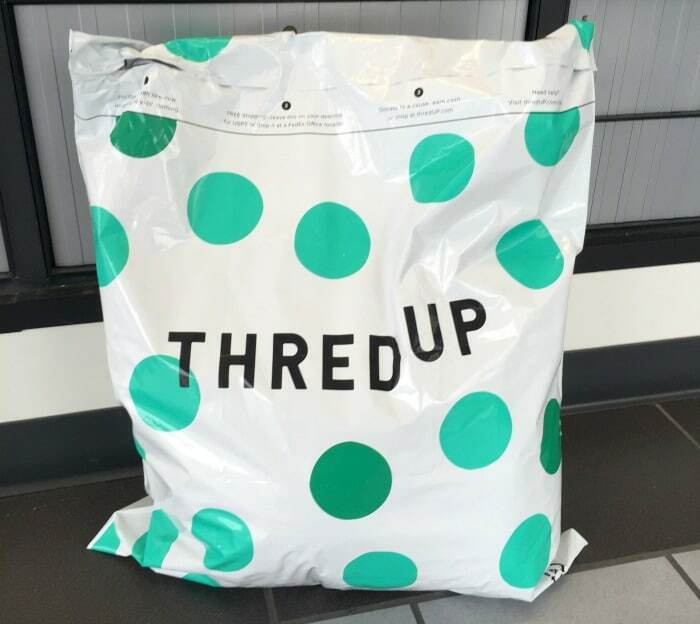 I found this amazing company called ThredUp that makes it super easy. You order “clean out kits” which they will send to you. These are huge bags you can stuff all yours and your kid’s outgrown or unused clothing in, then mail it back! The clean out kit comes to you with postage already covered, so all you have to do is drop it off at the post office, you don’t even pay shipping! Then, they go through your bag and give you credit for everything they will keep to sell on their site. It’s a great way to clear out closets and easily make some of that money back. If you’re like me, this is way easier than driving around with bags of things to donate in the trunk that you never quite take in. When you sign up with this link you’ll also be given $10 credit immediately to use in their store (hello, school-clothes shopping) AND you can get a referral link so YOU can offer the same deal to your friends and get rewarded to it. Everybody wins! When do you start planning for Christmas? How do you keep from getting stressed out during the Christmas season? While we are talking Christmas I wanted to share an awesome book with you. It’s all about having a simpler Christmas, and that’s really the point of planning early, isn’t it? 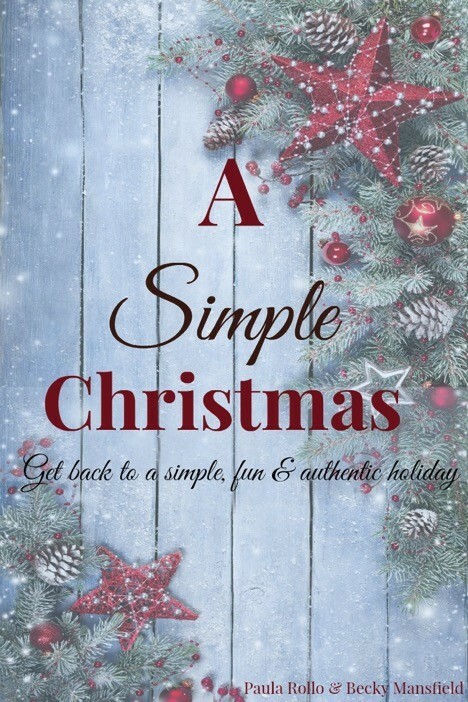 This is a helpful book with lots of bonus printables to help you find a beautiful and simple Christmas. It is filled with resources, encouragement and helpful tips to help make this the easiest and most memorable Christmas yet! Looking for more Christmas posts? Check out these other posts I’ve shared! I have started planing also! Makes December less stressful! I love planning ahead as well! I just started really planning this week. (I’m following along with this https://www.facebook.com/OrganizedChristmas) I already have most of the gifts bought. I actually did that a couple of months ago. It feels so great to go into this holiday season with most of the work already done!! Hi, I love and try to be organized for Christmas! I saw it on I gotta create! I mean I saw it at a handful of everything party! This is a great idea and it definitely helps with stress levels during the holidays. I’ve done this for years. Sometimes I will buy things throughout the year for my children, even as early as March or April. Last year I bought a little doll bed for my youngest daughter in April or May and I hid it at my dad’s house, so she wouldn’t find it. At Christmas time I completely forgot about it, until after we opened gifts at our house. It was a happy surprise for her because she had an extra gift to open at Grandpa & Grandma’s house later. I always start with the good intentions of planning in September… alas it doesn’t always work out. Thanks for the reminder, I know this year will be better planned. I may be able to plan what we’re getting in September but am unable to really purchase anything this early. I used to do this, but now I have really simplified Christmas, so it doesn’t take a huge wack of time and money. De-stressing Christmas seems important to me. I want to enjoy the holiday parties and see family. I, personally, don’t like to think about Christmas this far ahead (but good for you! I wish I had it that together) which is the only sane way to get everything done. Unless you go radical like we did and totally stop presents for anyone but the kids. My husband and I don’t even get them for each other. What we do is buy each other and family members little things we see throughout the year. This means it is really a surprise and usually something they truly would enjoy. I have to say though, to take the hurt out of it and manage everyone’s expectations we did plan ahead the first year and talk about it with family members in the summer time. That way people knew where we were coming from and hadn’t already bought us things. I can’t explain the sense of relief when I pass by a mall in Nov or Dec that I don’t have to go in! Plus, I now have the energy to bake cookies or make goodies for neighbors, parties, etc and decorate till my heart is content. Makes the season so much more relaxing! More awesome tips Paula, you are brilliant! I love reading your posts, they are always so thorough and cover all of the bases. :) Thank you so much for joining us and sharing at Best of the Weekend! Pinning to our party board, and we can’t wait to see what you bring us on Friday! HAD to pin this one. Thanks for sharing on Friday Flash Blog. In theory I plan early every year. This is the first year that I’ve actually managed to start before December 1st. My name is Katie and I host Fall Into the Holidays, open Saturdays. I would love to have you link up! :) I’m a Christmas baby, having been determined to my mom’s Christmas present rather than a Valentine’s present like I was suppose to be :) Over the years i have noticed that most of us that are December-born Truly are Christmas fanatics ( I attribute it to that both of our big celebrations of the year come at the same time.) I’m looking for Christmas gifts for next year even as I’m finishing up stocking stuffer shopping for this year. Under normal circumstances I have my Christmas shopping done/made by the Halloween. It helps our budget to get the materials to make or the present one at a time for family and closest friends because my husband, who only shops for surprises for me, Prides himself on shopping Christmas Eve while I work on cooking goodies and warming the hot chocolate for the evening. :) I love to be able to just go out during the Christmas shopping season and enjoy the sights and sounds and smells of the season and not stress over Any of it. Halloween to Christmas is stocking stuffer shopping season; all joy and giggles and no stress at all. You all have a Wonderful Holidays’ Season and a Very Merry Christmas! i also like to keep track of my budget and gifts with the “santas bag” app on my phone. 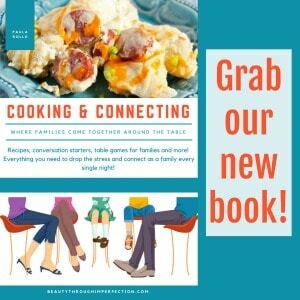 At the very end, this a link for a book about frugal gifts, each costing less than $100? I hope that’s a typo, or maybe they have a different definition for “frugal” than I do. Oh goodness, thank you for pointing that out! Definitely a typo! Supposed to be less than $10! Do you have a direct code for thred up? There sign up is being difficult!! 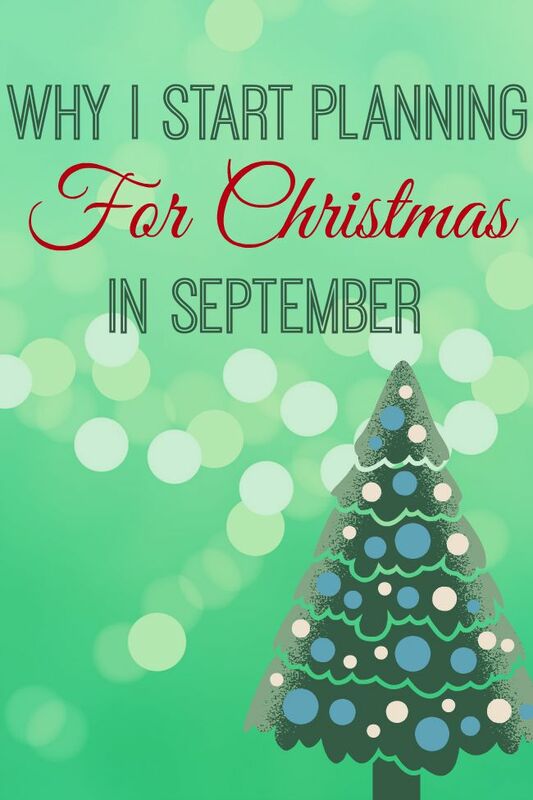 Hey Buddy!, I found this information for you: "Planning for Christmas in September". Here is the website link: https://www.beautythroughimperfection.com/planning-for-christmas/. Thank you.